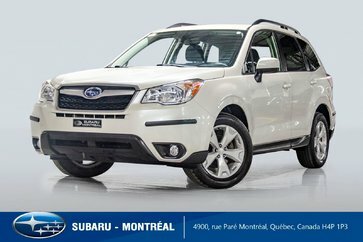 The used Forester, for sale in Montreal, is a versatile, spacious vehicle that offers exceptional driving pleasure. Come and try one of the models in stock at your Subaru Montreal dealer near the West Island and the North Shore! If you're looking for a compact SUV with exceptional value for money, the pre-owned Forester is a very smart choice. Do not delay and visit us as of today to choose yours! This used Subaru SUV that has been driving on our roads for many, many years has made thousands of families happy because of its versatility and space. Moreover, you'll enjoy all the benefits of a Subaru 4-wheel drive, one of the most appreciated in the industry! 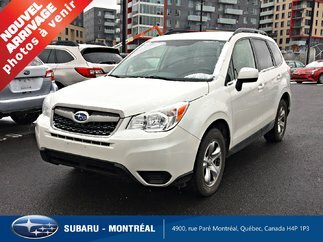 And although it is a utility vehicle, the used Forester, for sale in Montreal, is almost the same as a standard car because of its exceptional manoeuvrability despite its size. 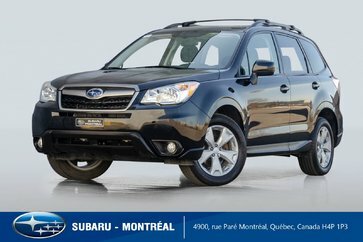 Sporty and robust, the pre-owned Forester, near Laval, is noticeable at first glance! Its silhouette is embellished, depending on the model year, with roof rails, a panoramic opening sunroof, fog lamps, alloy wheels and more. Numerous amenities await you onboard - always by model year - including heated seats, an electrically powered driver's seat, 2-zone air-conditioning, a navigation system, a Harman Kardon sound system and a reclining and folding rear seat, among others. Under the hood of your Forester you could be entitled to a 4-cylinder, 2.5-litre 170 horsepower engine, or a 2.0-litre turbo motor that provides 250 horsepower. Your SUV may also be able to tow up to 680 kg (1500 lbs) and provide loading space to more than 2000 litres of luggage once the rear seat folds down. 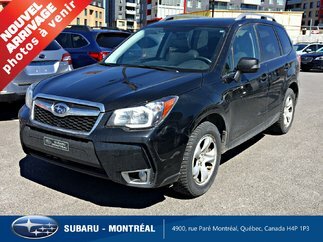 Want to know more about our used Forester for sale in Montreal? Come and meet us as of today at Subaru Montreal! No matter which model year you choose, you'll benefit from our various Subaru financing plans as well as our exciting Subaru promotions. Whether you live on the West Island or the North Shore, Subaru Montreal is the place to go to buy a new or used Subaru vehicle!